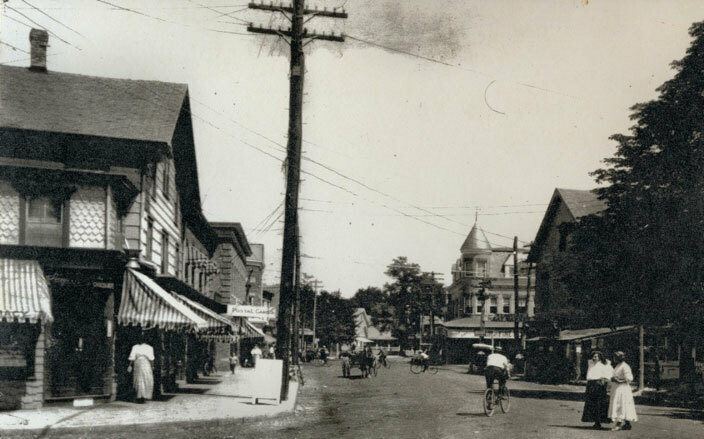 The Thirteenth Annual Dr. John A. Gable Lecture Series, sponsored by the Friends of Sagamore Hill, continues on Thursday, March 30, with Boomtown: Oyster Bay during the Theodore Roosevelt Era. In his lecture, Park Ranger Scott Gurney of Sagamore Hill National Historic Site will discuss how technological advances in transportation, communication, and lifestyle at the turn of the 20th century—combined with the popularity of Theodore Roosevelt—transformed Oyster By from a quiet country town into the focus of world attention. The lecture begins at 7:00 pm in Christ Church Parish Hall, at 61 East Main Street in Oyster Bay. Admission and refreshments are free to all. Donations to the Friends of Sagamore Hill are greatly appreciated. For more information, visit www.sagamore-hill.com/lecture.html or call 516-922-5032. Scott Gurney is a life-long resident of East Norwich and Oyster Bay. He has been a park ranger at Sagamore Hill National Historic Site for over twenty years. The John A. Gable Lecture Series, sponsored each year by the Friends of Sagamore Hill, honors Dr. Gable’s legacy as long-time Director of the Theodore Roosevelt Association and tireless advocate for both Theodore Roosevelt and his enduring presence on the American scene.